Buyers have a lot to contend with when purchasing pipe, from material types to industry standards to compliance with restrictions and regulations. 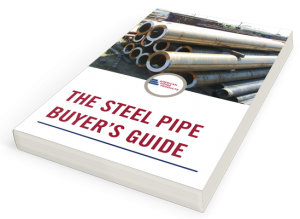 In this guide, we assist buyers by identifying the types of steel used in piping applications and explaining the industry organizations and standards that govern the manufacture and testing of steel pipe. We also share some tips buyers can use to make sure their piping procurement remains efficient no matter the project. Just fill out the form to receive your free guide.